Tried out a sugar-free and a gluten-free recipe this time. Developing this kind of recipe is indeed an exact science and a complete risk-taking process. First, I figured out what to replace refined white/brown sugar with. And it ain't cheap. 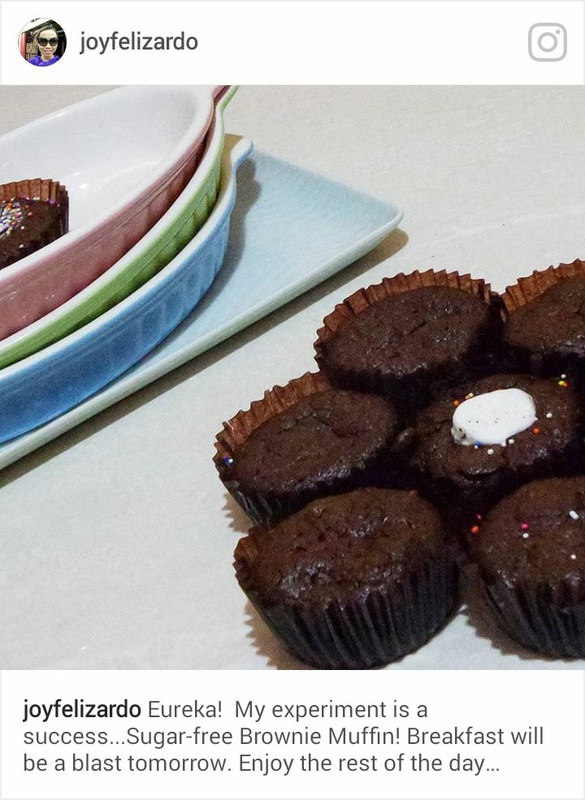 You can use muscovado or coco-sugar but it won't be sugar-free anymore. Here, I used Fit and Sweet Stevia. I have to tell you though that there is a bitter after taste which one has to get used to. Next I had to find almond flour, I did find one at Chocolate Lovers (Arnaiz Ave, Makati), and it is said to be used for French Macarons. And it ain't cheap either. Thus, I need to improvise. Good thing Google is so rich with info that I got a cool recipe in which I used to come up with enough almond flour. However, you will need a powerful ozterizer/food-processor/pulverizer for this. 1. Place the almonds 1 cup at a time in a high powered blender and grind. 2. Grind the almonds using the pulse button until they become a fine powder. This should take 20 to 30 seconds. 1..Preheat oven to 350 degrees. 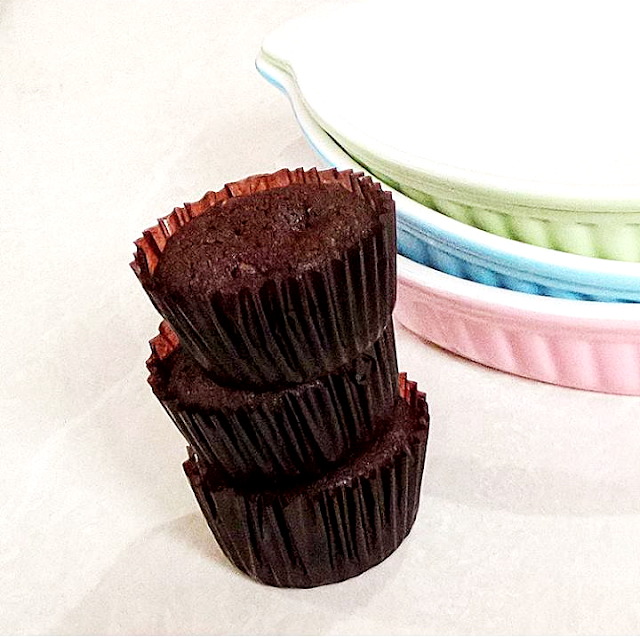 Line muffin tins with baking cups. 2. Melt butter and chocolate in a heatproof bowl set over a pan of simmering water, stirring occasionally, until smooth. 3. Remove from heat, and whisk in sugar alternative. Whisk in eggs, 1 at a time, until combined. Whisk in cocoa powder and 1/2 teaspoon salt. Fold in flours, almonds. 4. Divide batter among baking cups. 5. Bake until brownies are set and a toothpick inserted into the centers comes out with moist crumbs attached, about 21 minutes. 6. Transfer pans to wire racks, and let cool slightly, about 15 minutes. Turn out brownies from pans, and return to wire racks. Let cool completely.